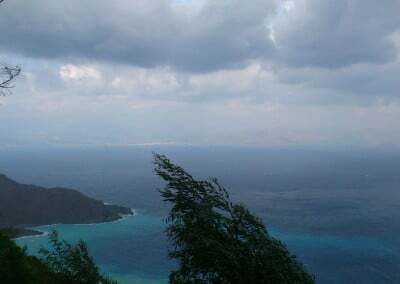 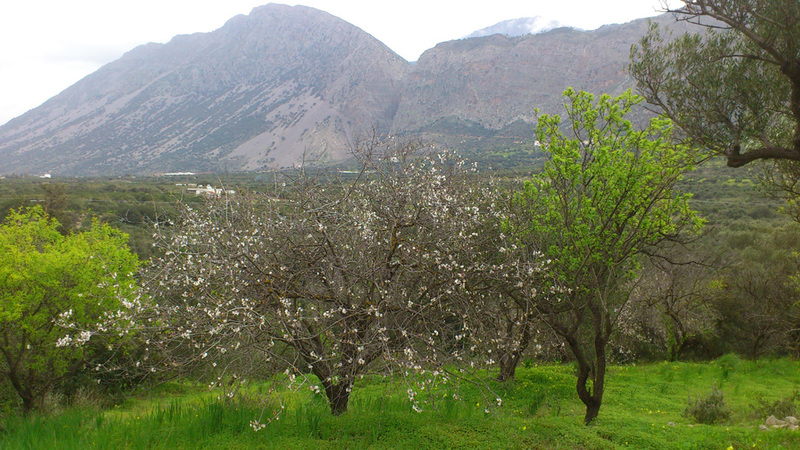 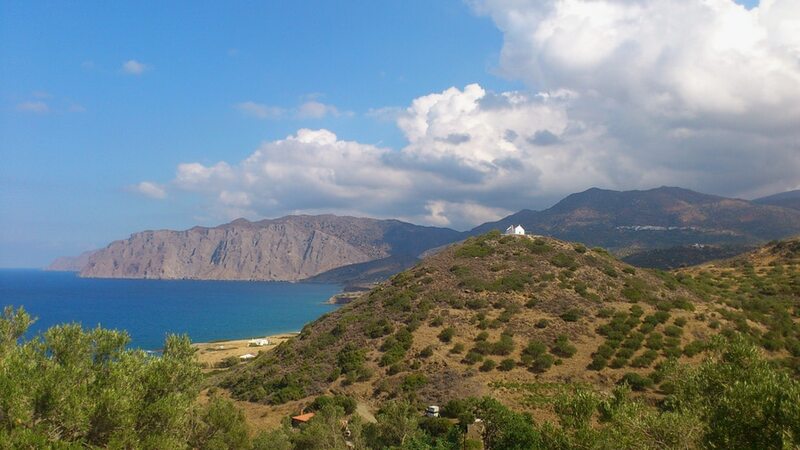 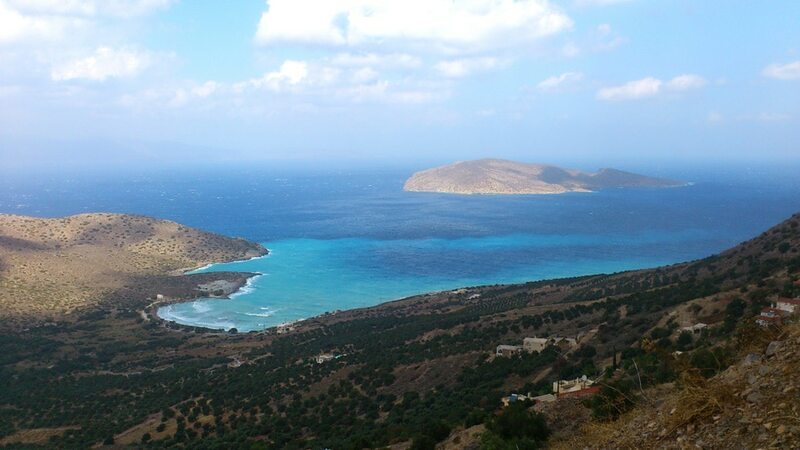 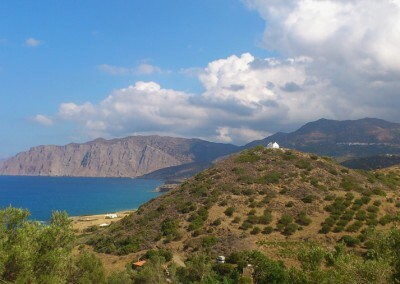 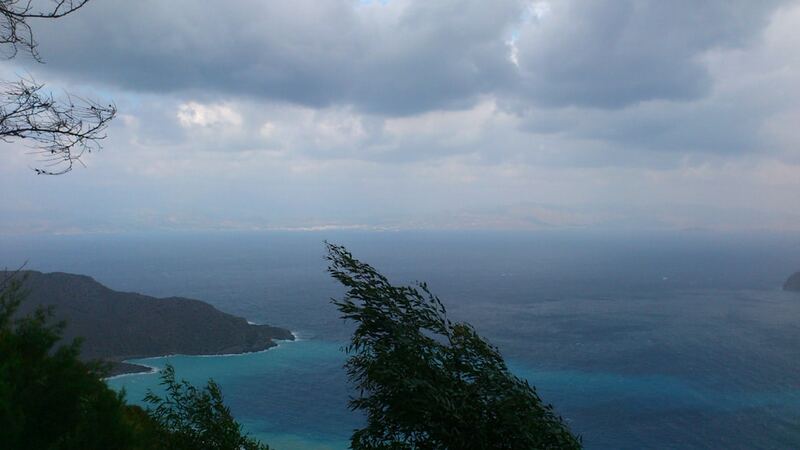 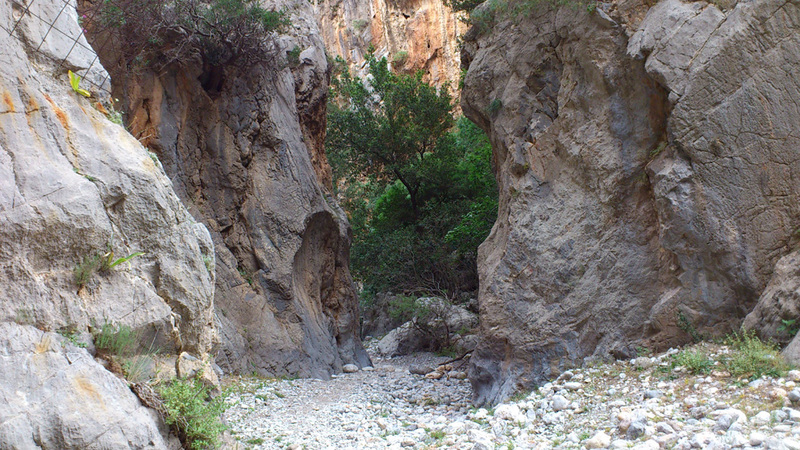 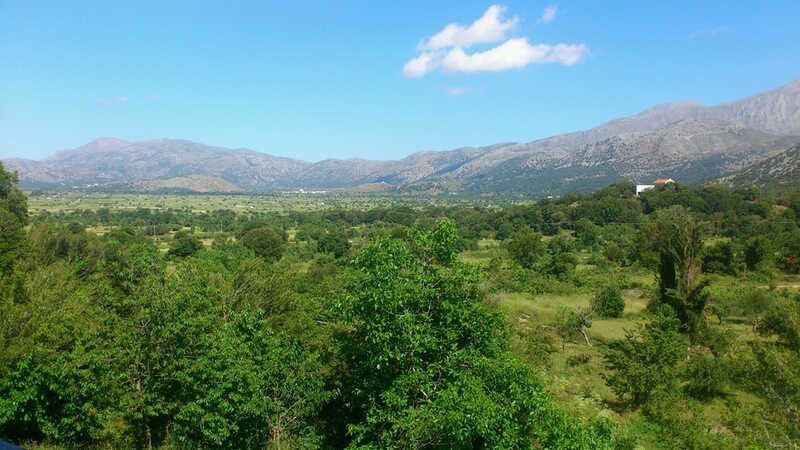 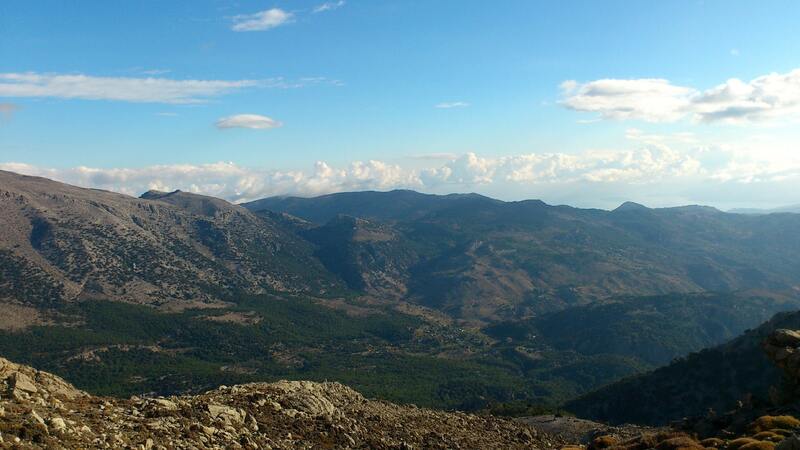 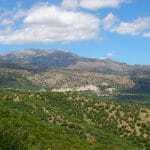 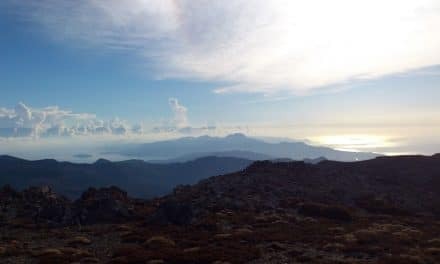 On the road to Sitía, some 4kms after the village of Kavousi, is a famous viewpoint and hamlet called Plátanos. 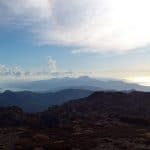 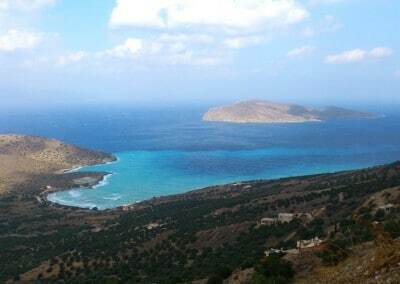 From here you have the most amazing and breathtaking views across the whole Gulf of Mirabella. 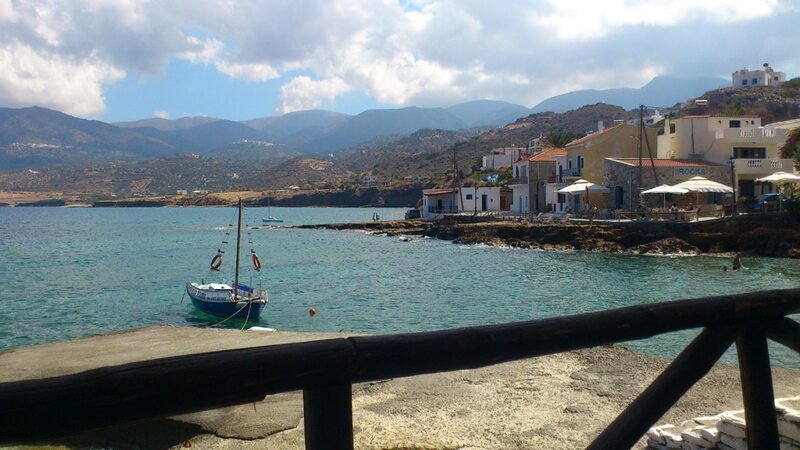 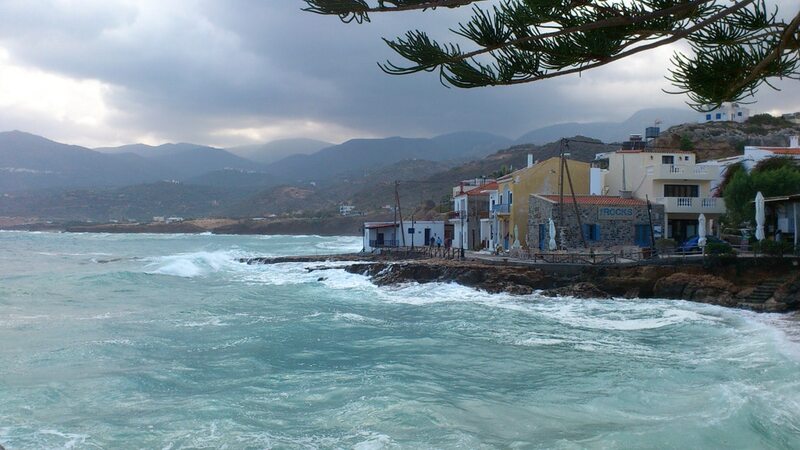 Mochlos is a small picturesque fishing village located on the gulf of Mirabello. 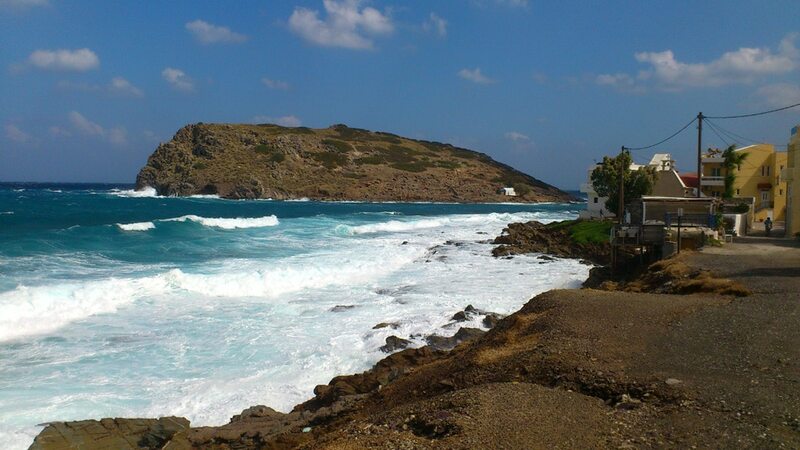 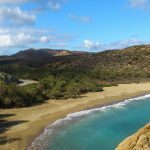 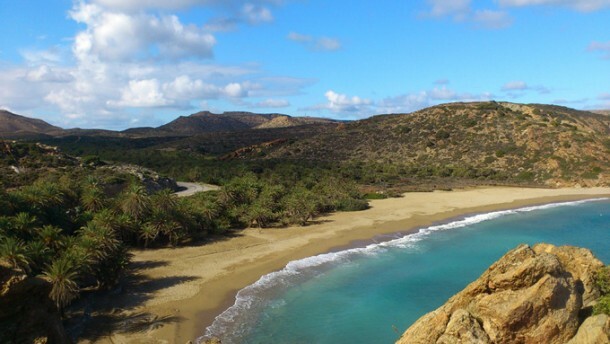 It has a quiet and laid back atmosphere with a few restaurants and cafés around the little bay. 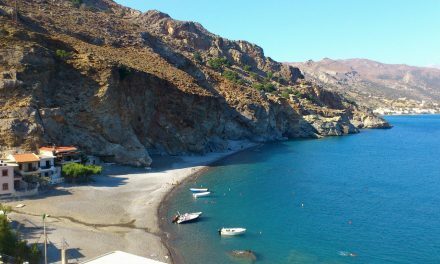 It’s not really a beach village. 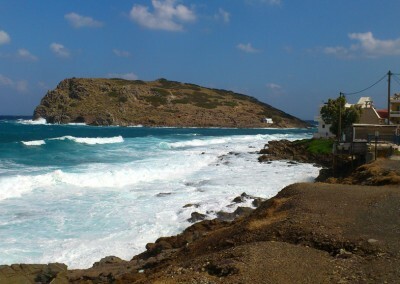 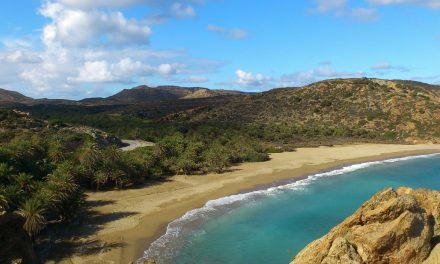 The Mochlos beach is small, but there are some better beaches close by. 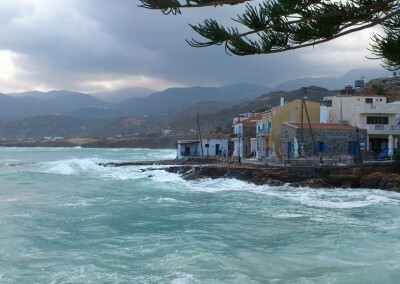 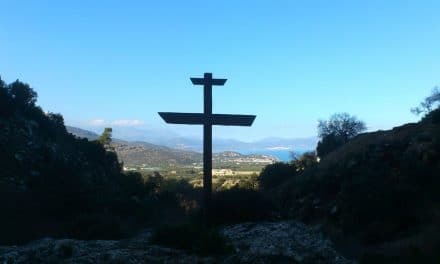 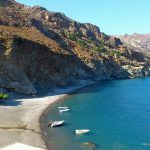 It is on many lists as village to see on Crete, so there are quite a few tourists coming there in season, mostly for the day. 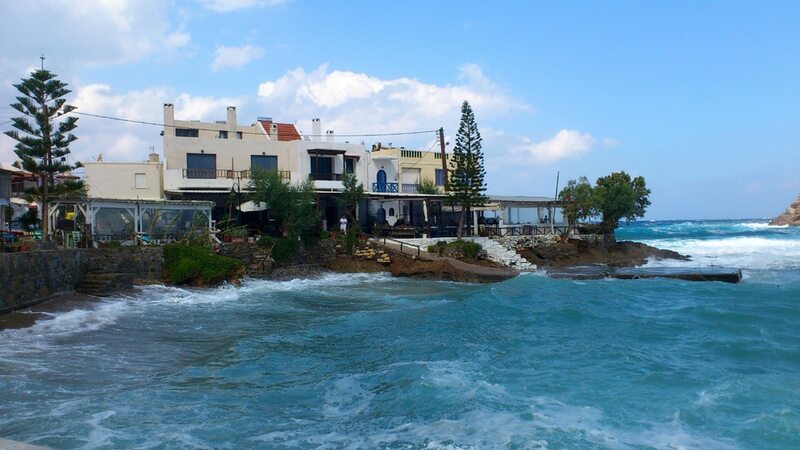 Taverna tip: Tavern To Bogazi at the seafront for fresh fish! 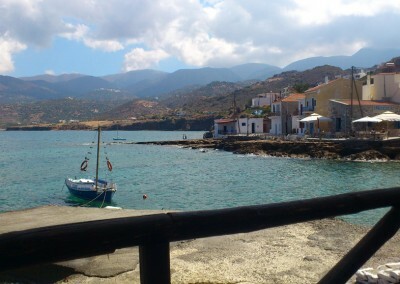 Have a look also in the shop in the beginning of the village, nice things and friendly owner. 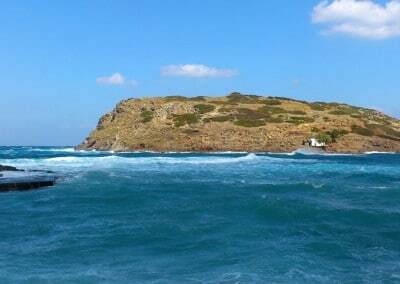 Across from Mochlos in the bay lies the small island of St. Nicholas (with a chapel with the same name). 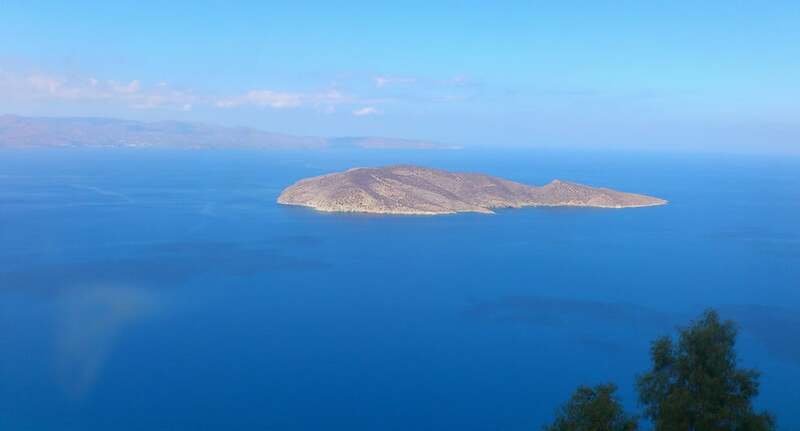 The island used to be connected to the mainland, and is also called Psilos (flea). 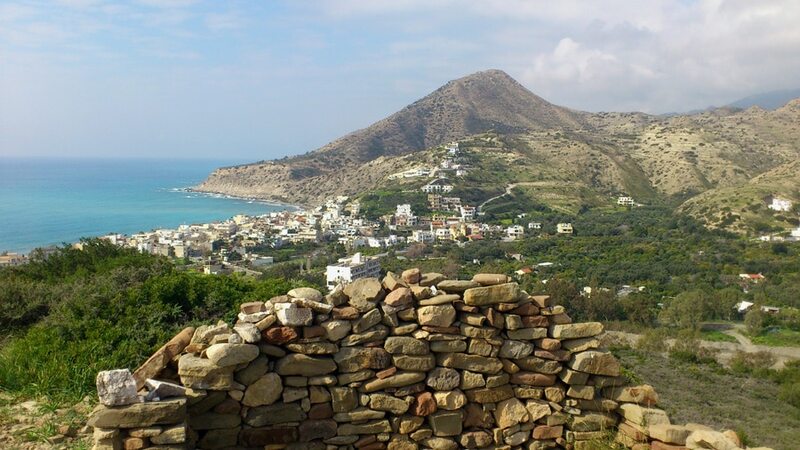 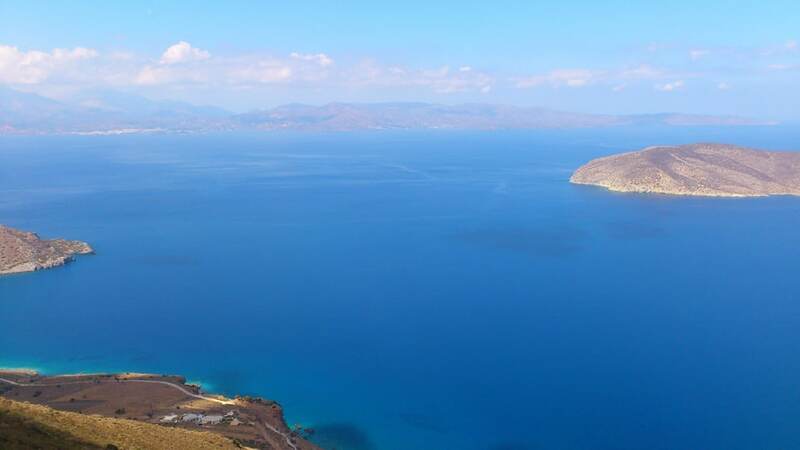 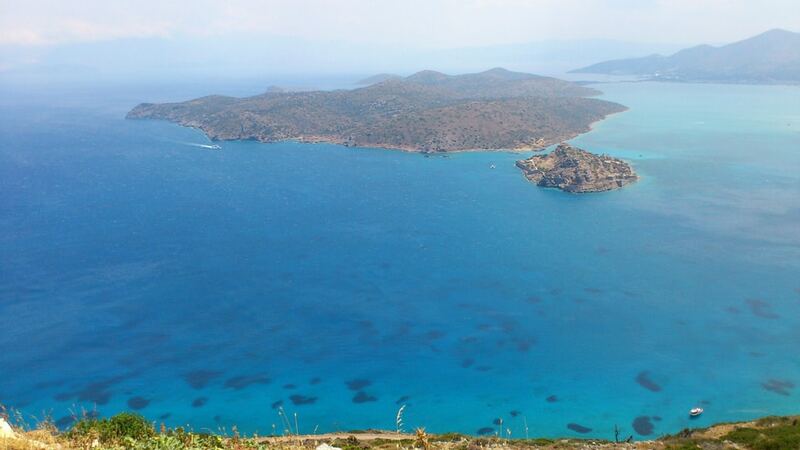 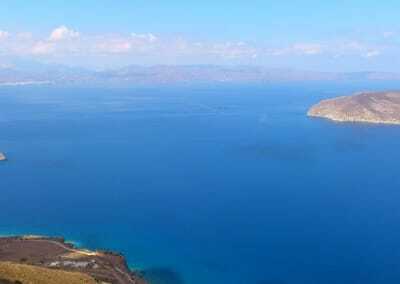 It was an important commercial center and harbor from Minoan times until the Byzantine era. 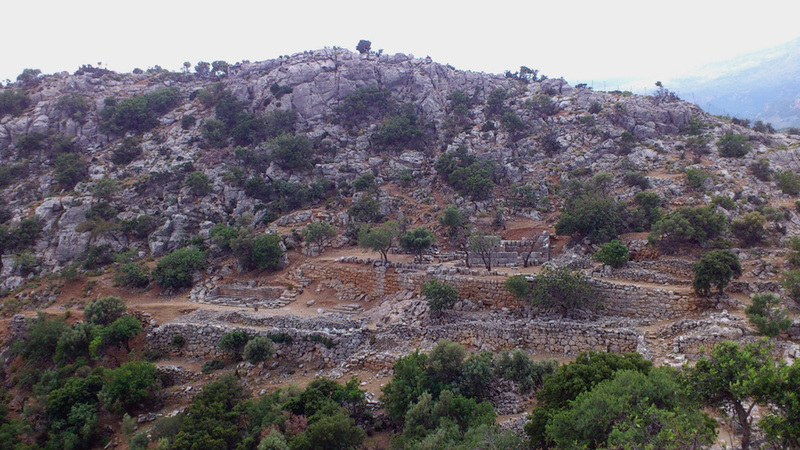 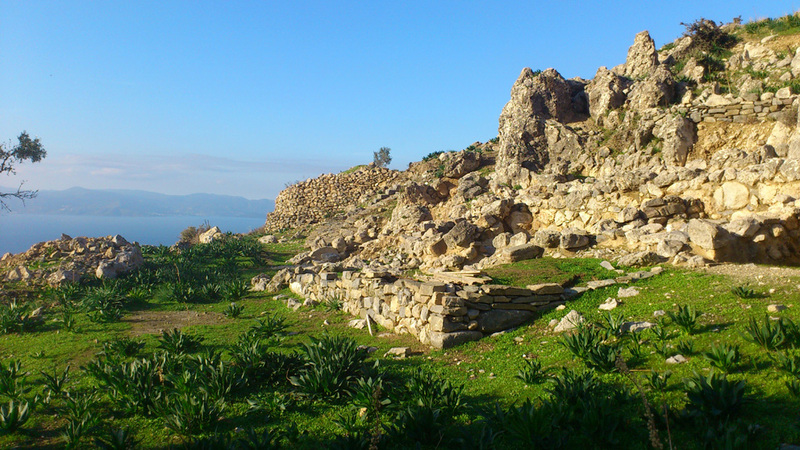 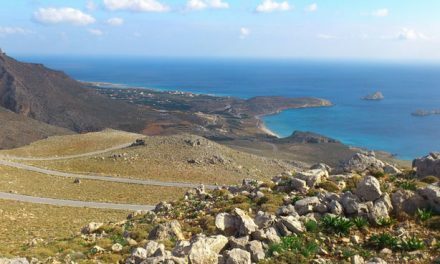 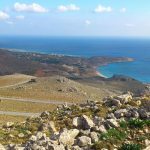 Many important findings have been uncovered from the Minoan era, and traces of Roman buildings have been found around the island. 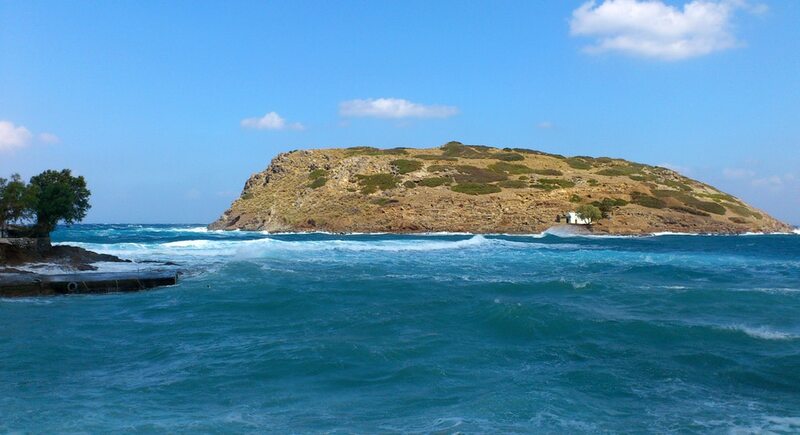 There is a boat for the people who want to visit the island, or if you are a good swimmer, you can swim there. 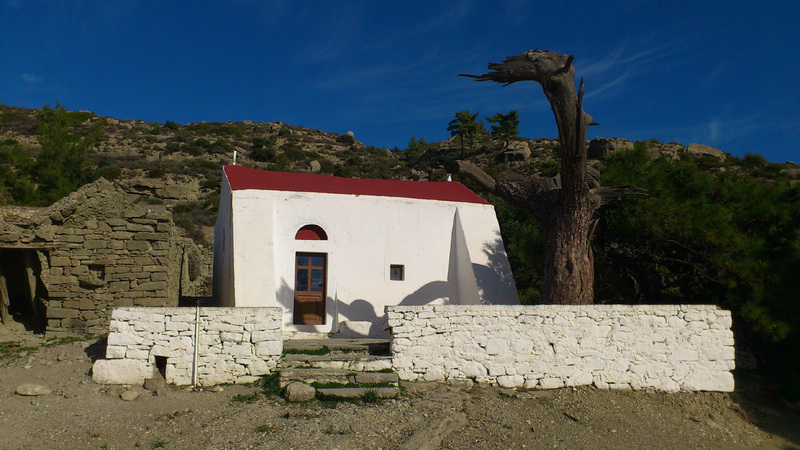 On a hill south of Mochlos you can visit the picturesque chapel of the Holy Spirit (Agio Pnevma) which has panoramic views.